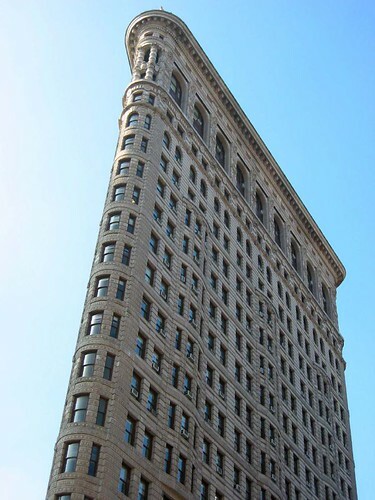 The Flatiron Building (sometimes spelled "Flat Iron Building") is located situated on a wedge-shaped lot where Atlantic Avenue curves to intersect with University Avenue. It was built in various stages from 1888 to about 1890. Its triangular shape, narrowing from almost 100 feet to only twelve, is unusual and much like the other flatiron buildings in NYC (but smaller) and Toronto (similarly sized). Originally a boarding house, the Flatiron underwent several stages of both decline and renovation and now holds upscale apartments and lofts, along with several businesses. It is an important part of the Neighborhood of the Arts. Starry Nites Cafe - Cafe dedicated to Van Gogh, who died the same year the Flatiron building was completed. Coincidence or Conspiracy?